Envisioned as a way for our Club to participate in Indiana's year long bicentennial celebration, the Indianapolis Hiking Club scheduled hikes in all 25 of Indiana's state parks. When we came up with the proposal we had no idea how popular the hike series would become. We were astounded when 143 members turned up for the first hike in White River State Park on a cold January 1. Most of the other official Bicentennial hikes drew between 60 and 70 attendees. 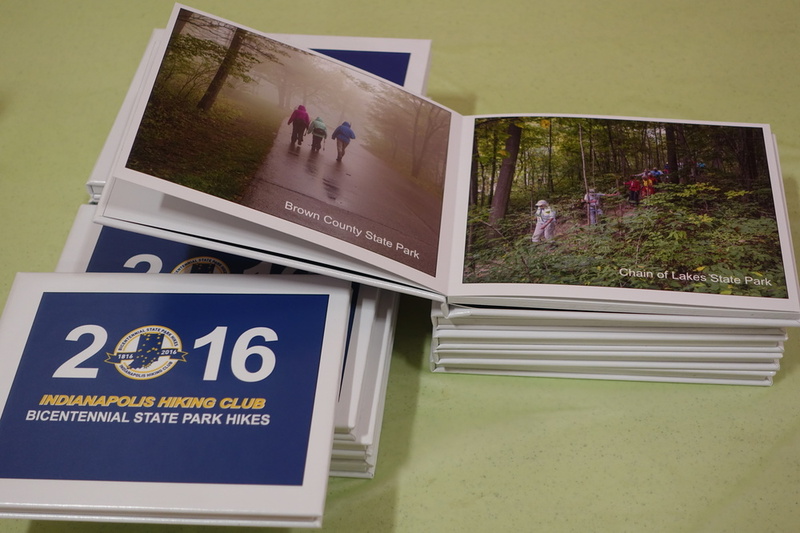 All told, the Club had 104 state park hikes in 2016, including 25 official Bicentennial hikes and 79 make-up and other hikes. 53 different leaders led at least one state park hike. Total attendence was 2,472 members, 166 guests and 10 children. 257 of our members participated on at least one hike. We hiked a total of 13,758 miles in Indiana's state parks. 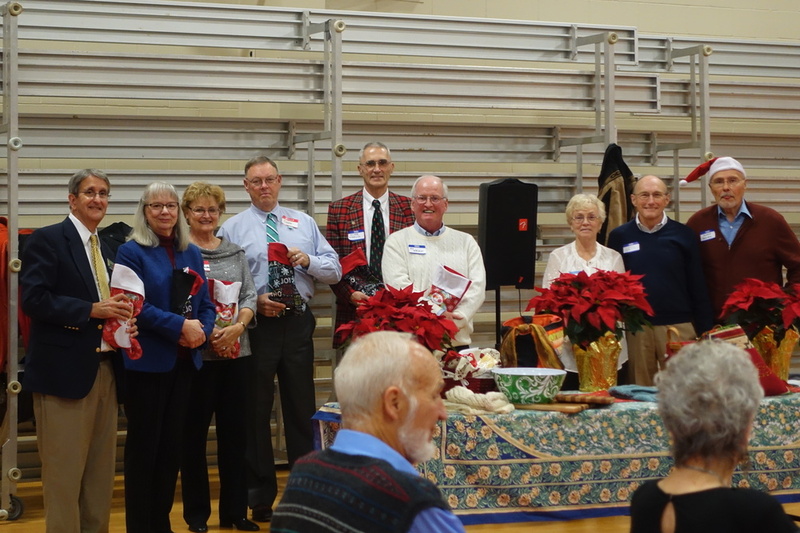 At this year's Christmas Party on December 4, we recognized participation in the 2016 Bicentennial State Park Hike series in three different ways. Linda Wright     Designed commerative pin and tee shirt given to everyone who hiked in 20 or more state parks. 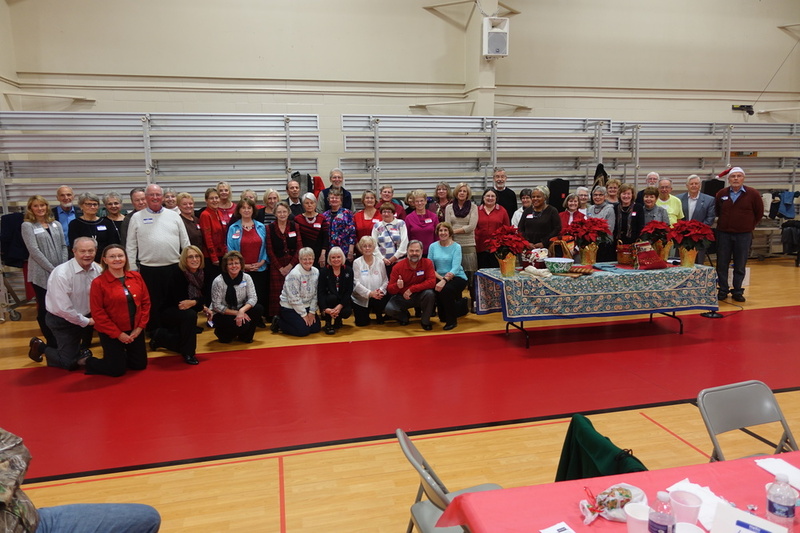 Here is a photo of the Bicentennial Committee. Two hundred and fifty seven members hiked with the Club in at least one Indiana state park. 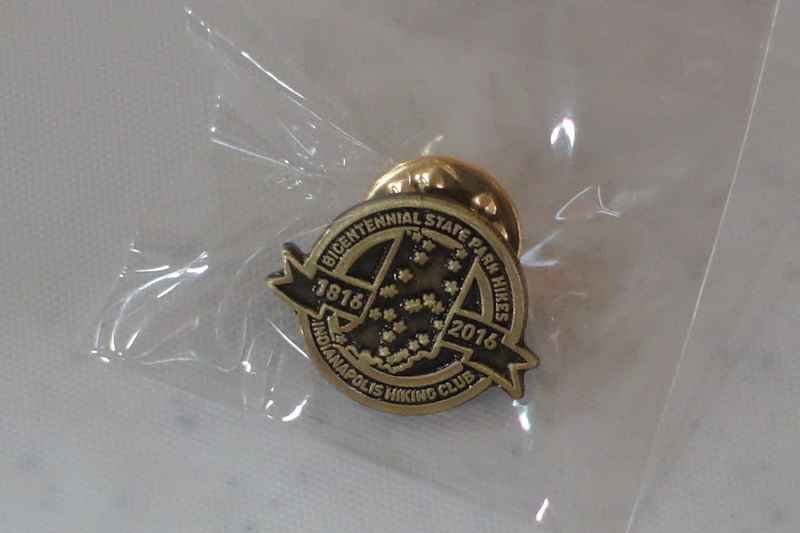 They will all receive a commemorative pin (see it here) featuring the Bicentennial logo. Those who were at the Christmas Party received them there. Everyone else will receive them by mail. The following 35 members hiked in all 25 Indiana State Parks during 2016, a significant accomplishment. They were recognized at the Christmas Party and each received a photo book which included photos of each state park hike. See an image of the photo book. The following 18 members hiked in 20 or more state parks. 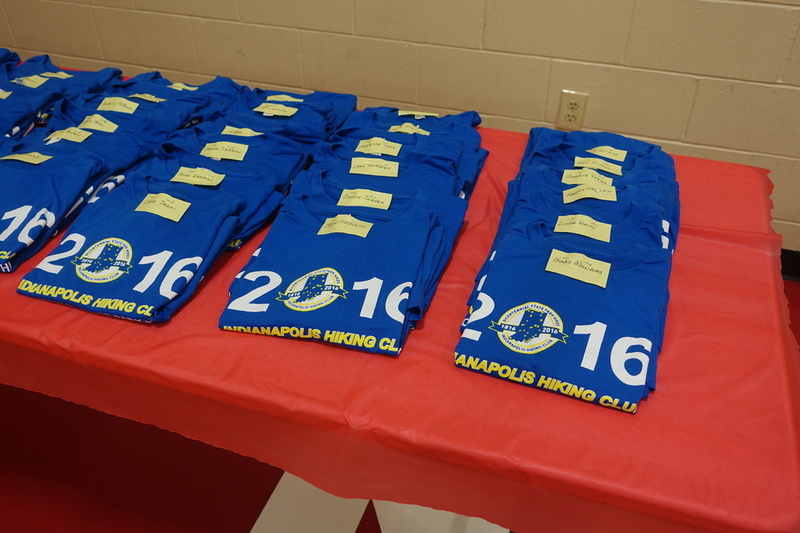 They were recognized at the Christmas Party and each received a special tee shirt developed just for the occasion. Members who hiked all 25 SP's also received the same tee shirt. Here is a photo of the 53 members who hiked 20 or more state parks. And here is a photo of the shirt they received.